This is good for the passengers size from 1 to 2 with bags. 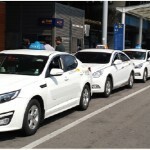 This is Economic low price taxi car service in Korea. 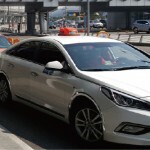 Servicing Incheon airport, Gimpo, Busan, Jeju airports and other domestic airports in Korea nationwide. Metered fare charge by travelling distance and hours. Servicing by early advanced reservation base ( no instant dispatch ). 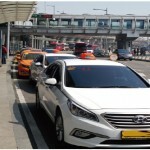 Air port transfer for nationwide airports in Korea. Good for small number of passengers who want to get the economic way of transportation. Nami island, Mt Seorak and other popular places to visit with cost effective way of tour for 1~2 persons. 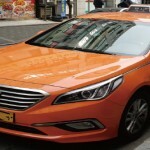 Popular choice for Seoul city tour, Busan city, Incheon city tour purpose. 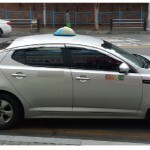 Common eco way for moving around in Korea, cheap transportation other than public bus or train. 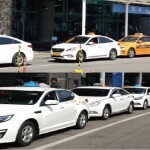 This type of taxi is good enough to travel around Seoul city and other major cities in Korea. 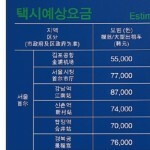 Economic way moving around in Korea for private travelling.